New Business Card/ID/ Credit Card Holder! This stylish Credit card wallet is perfect for both men and women. It has six expandable pockets to fit up to 10 cards. This modern looking hard-case wallet protects your cards from demagnetization while its functional design allows easy access to each card. It's easy to find in a purse and fits perfectly into men's pockets. The new Wallet slim and compact storage solution that keeps your cards clean, undamaged and convenient to carry. 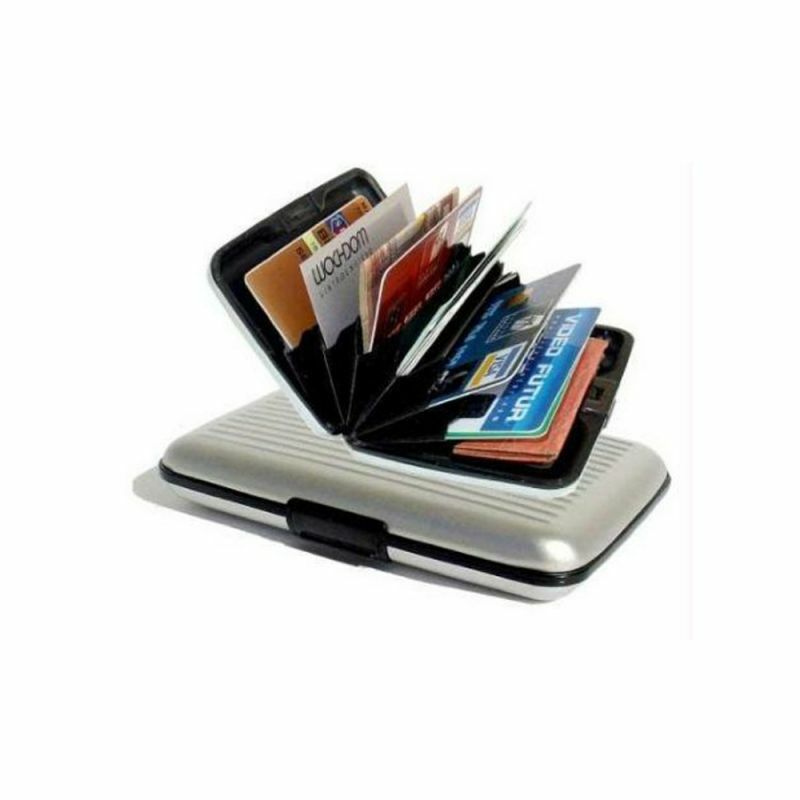 Prevent electronic pick pocketing, identity theft ,and payment fraud by blocking the personal information being sent by radio waves from your credit cards and other ID cards. It protects your cards clean and undamaged. * Push button and cover opens to take cards out. * Holds about 10-15 cards depending on the thickness of cards. * Slim and compact storage. * Protects your cards clean and undamaged. 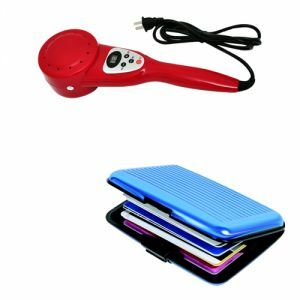 Comfortable beating and transmission by hot pack. The beating massager can breath, it adopt special design theory, the heat comes from beating film and 32 breath holes wounded on working condition. It apply to skin and muscle; realize transmission type hot pack, to achieve better health care. Attention1, Baby pregnant and people with heart disease are not allowed to use this product. 2, Please do not do the massage by beating frail body part(such as the head or abdomen etc). 3, It may turn off automatically when the beating function area becomes hot after 20 minutes continues use. This is not fault; please turn on after a while for use. 4, this product is non-waterproof, could not wash in water, and avoid damage.